The renowned Emporio Armani eyeglasses collection focuses on style, fashion and leading eyewear frame designs. Authentic Emporio Armani EA3133 Eyeglasses are brand name, designer optical wear. 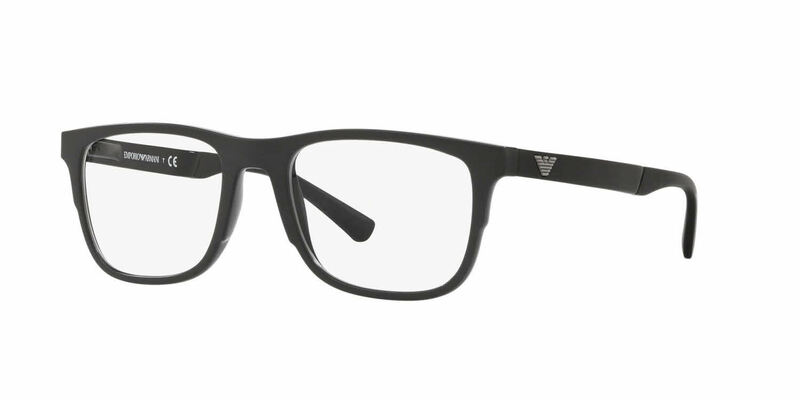 Emporio Armani eyeglasses are an informal, versatile and cutting-edge fashion statement, aimed at young people of both genders.The Emporio Armani line of eyeglass frames are ideal for trendsetters who appreciate cutting-edge design that evokes a youthful, modern image. Due to manufacturer's restrictions, Emporio Armani products cannot be shipped to Australia. Emporio Armani EA3133 is a Full Rim frame for Men, which is made of Propionate. Emporio Armani EA3133 Eyeglasses come with a cleaning cloth and protective carrying case.